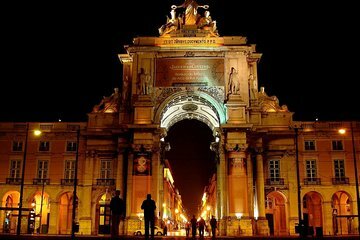 Enjoy an evening tour of Lisbon that combines sightseeing, dinner and Fado entertainment. Take a drive around the city by private vehicle to see attractions like Rossio Square and Belém Tower lit up for the night, and then listen to a live performance of the traditional music of Portugal while you dine on Portuguese dishes. We had an amazing evening in Lisbon, great show, excellent drivers. Highly recommend it for anyone looking to experience Lisbon in a short time.